Theresa K. Palinkas, 92 years of age, became Our Gift to God on Sunday January 20, 2019 at University Hospital, Geauga Medical Center in Claridon Township, Ohio. Mrs. Palinkas was God’s Gift to Us on August 25, 1926 in Luke, Maryland, the daughter of the late John and Mary ( Zavodny )Friday. A resident of Aurora since 1968, she had been employed as an Executive Secretary at RJR Filmco in Aurora from 1968-1983. Mrs. Palinkas had been one of the Charter Members of Lord of Life Lutheran Church in Bainbridge, where for many years she sang with the church choir. 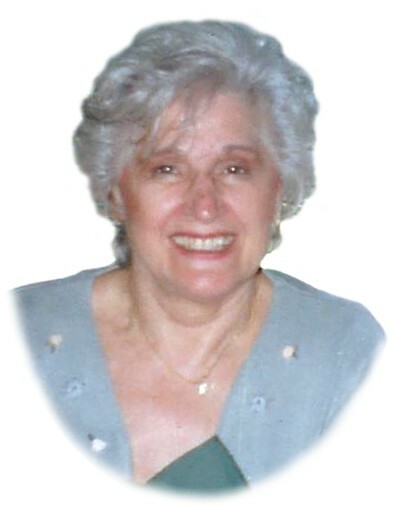 Mrs Palinkas enjoyed life to the fullest as she played the piano, was a Tap Dancer, an avid reader and excellent swimmer. Memories of her love for family, especially her grandchildren and great-grandchildren will forever be cherished. On June 26, 1948, she married her beloved husband Albert J. Palinkas whose passing took place on November 8, 2015. Also preceding her in death were her two loving grandchildren Samuel and Tera. She is survived by her devoted daughters Cathy (William) Zahn of Dublin, Ohio, Debbie (Phillip) Casey of Orlando, Florida and Cynthia (David) Teare of Burton, Ohio; her loving grandchildren Allison, Suzanne, Ryan, Christopher, Ethan, Conner and Samuel; and her loving great-grandchildren Mikey, Gracie, Berkley, Collins, Aurelia, Adeline and Alister. No calling hours. A private family funeral service officiated by Pastor Robert Henderson is being held. Final resting place will then take place at Aurora City Cemetery. The family requests No Flowers Please. In lieu of flowers, memorials are suggested to the American Parkinson Disease Association. Arrangements are by the Green Family Funeral Home & Crematory Service in Mantua where condolences and memories may be viewed at www.greenfamilyfuneralhome.com.